"HomeStory is amazing. They were able to replace all of the doors in my house in just a couple of hours. The new doors made a huge difference and they look absolutely stunning." "Love my new interior doors! Wonderful people from start to finish." "My home looks completely different." "All individuals that we worked with were great. Jack in the office, Dan who came out to measure and give us a detailed cost explanation, both were a pleasure to talk to. Installers Mike and Ray were...."
"My new closet doors look great! From visiting, to measure and install, a very nice experience!" "I'm very happy with my new interior doors. The whole process was easy and the new interior doors are a nice upgrade for my 39 year old home. The installers were very helpful in solving any small problems. " "I was very pleased with the entire door replacement process and personnel. Will definitely recommend HomeStory to others. Extremely customer oriented company." 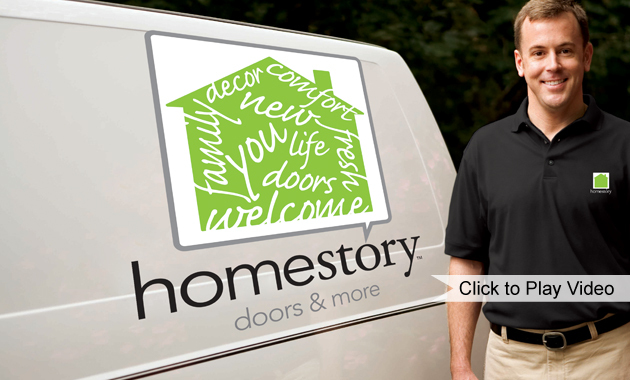 Replacing your old interior doors is quick and easy with HomeStory's simple 3-Step Process. Choose from our many popular options for your new interior doors. These include beautiful door locks and paint colors that will add new style to your home. Using our high-tech digital measuring system, each door jamb is precisely measured to create new doors that are custom-fit to your existing frames with no construction necessary. Because every new door is custom-made and painted in our professional facility before we arrive, we can replace every door in your home 2-3 hours with no mess and no hassle.